For this reason, Johnson & Johnson Innovation and Janssen Research & Development launched the Artificial Intelligence for Drug Discovery QuickFire Challenge. Johnson & Johnson Innovation will award up to $100,000 in grants, one year of JLABS residency & mentorship to the individuals or teams who submit the best ideas, technologies, or solutions that are using artificial intelligence to advance healthcare. On December 12th, join us at JLABS @ Toronto as we hear from the finalists of this challenge and choose the winner(s) with the help of a judging panel & the attendees. During deliberations attendees will hear from an esteemed panel of experts in the artificial intelligence/machine learning field, with speakers from Janssen R&D, Real Ventures, Vector Institute, University of Toronto & Cyclica Inc.
A2A Pharmaceuticals cuts the time and cost of identifying drug-like lead compounds against difficult-to-drug targets using an innovative de-novo fragment-based discovery approach. Its proprietary SCULPT methodology leverages structural, biochemical, mutagenesis and ligand-binding data to design large virtual libraries of pre-optimized molecules with spatial and chemical features specific for each target. An iterative combination of docking and supervised machine learning guides library optimization and selects the best candidates for synthesis and pharmacological validation. 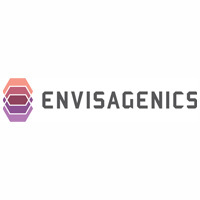 Envisagenics is a spin out of Cold Spring Harbor Laboratory leveraging the therapeutic potential of aberrant splicing through artificial intelligence (AI). Many human diseases are triggered by aberrant splicing events that can be targeted and corrected by small molecules or antisense drugs. Envisagenics SpliceCoreTM platform combines transcriptomic mapping and machine learning to prioritize therapeutic candidates from several terabytes of RNA-seq data. Envisagenics competitive advantage is its experimentally validated product and innovative exon-centric approach to target exons instead of genes, opening up new therapeutic opportunities. 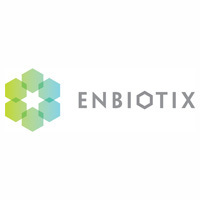 EnBiotix, Inc. is a bioengineering company with a focus on anti-infectives and innovative platforms in systems biology and synthetic biology. These technologies, initially developed by EnBiotix co-founder and SAB Chair Professor James J. Collins (MIT, Broad, Harvard Wyss), are transformational with respect to time, cost, efficiencies, and quality of results. Our systems biology MINE Platform is a machine learning approach that allows for rapid identification of the mechanism of action (“MOA”) of a perturbation, identification of biological targets for therapeutic intervention, and precise patient stratification. Bringing a single new drug to the market costs $2.6bn, often delivering an intervention that barely differs from those already in the market. Projections into the future are not promising, with an expected 50% drop in R&D output every nine years. 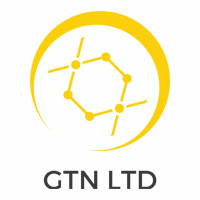 At GTN we are searching the astronomically large space of drug-like molecules with our unique patented technology, Generative Tensorial Networks. Our software combines and builds upon techniques from machine learning and quantum physics to simulate, filter and search for molecules, halving development costs and discovering molecules entirely hidden from view. 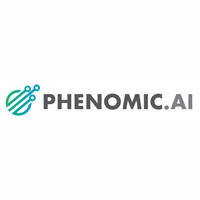 Phenomic AI is building an AI powered drug discovery platform that unifies target based and phenotypic approaches with computational drug design and optimization. 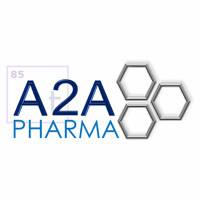 By integrating insights extracted from high-throughput imaging screens with deep representations of molecular structure, our platform is able to efficiently map and explore chemical and phenotypic space, enabling us to rapidly discover novel compounds with desirable therapeutic and pharmacological properties. Without a reliable, simulated model of biology, years of lab work and even longer clinical trials are needed to make sure a drug helps patients. The question we asked ourselves a decade ago was - can we move trial and error out of labs and trials onto the computer? The result is a Simulated Cell that turns static, sequenced data from patients and lab models into live, simulated tumors. Allowing researchers to run millions of simulated experiments in the time it would take them to run a biological one, we find the best ways to fight against cancer. Insights gained can generate new ideas or confirm hypotheses of rational combinations, predictive molecular biomarkers and resistance mechanisms (both intrinsic and acquired). 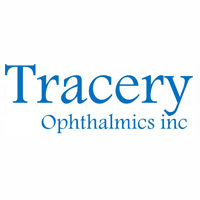 Tracery is clinical stage ocular imaging and health tech company harnessing structured and unstructured data, OMICS, and large data analytics, for the co-development of new diagnostic tools and individualized therapeutic strategies globally through the cloud, advancing therapies for retinal disease. Dr Goldenberg is a Scientist in Genetics and Genome Biology program at the SickKids Research Institute and an Assistant Professor in the Department of Computer Science at the University of Toronto. She is also a fellow of the Canadian Institute for Advanced Research and a member of Vector Institute. Dr Goldenberg’s lab develops machine learning approaches that efficiently combine many types of patient measurements to refine diagnosis, improve prognosis and personalise drug response prediction in the context of complex human diseases. Dr Goldenberg was recently awarded an Early Researcher Award from the Ministry of Research and Innovation. Naheed Kurji | President & CEO, Cyclica Inc.
Naheed is President and CEO of Cyclica, where he leads the team in delivering the next step in cloud-based drug discovery. Naheed focuses on corporate and business growth strategies to ensure the company is set up for success. Naheed received his MBA from the University of Toronto, Rotman School of Management. Prior to joining Cyclica, Naheed worked as an Associate Director at Bank of Montreal in Calgary where he was integral in multiple cross-border sponsor coverage deals. Jeff is a member of the Data Sciences IT team at Janssen Research & Development, LLC. Working out of the Spring House, PA, campus, Jeff and his colleagues collaborate with company-wide business partners to address data-driven questions spanning the pharmaceutical pipeline. As a member of this multidisciplinary team, he applies expertise in data integration, algorithmic development, and modern analytical methods to leverage internal and external data sources. Jeff holds a Ph.D. in Computational Biology and Bioinformatics from Duke University. Prior to joining Janssen R&D, he worked in methods development for macromolecular crystallography as a member of the Phenix team at both Duke University and Lawrence Berkeley National Lab.